Commercial aviation is a dynamic industry, always changing and adapting to market forces—and the market for commercial aviation is steadily growing. Year-over-year traffic growth averaged 6.5 percent during the past five years, according to Boeing’s Commercial Market Outlook. The IATA (International Air Transport Association) estimates that, in less than 20 years, the number of aircraft passengers will double, and Boeing predicts that there will be 7.3 billion people flying by the end of 2034. The key drivers behind this steadily rising demand are economic growth and income growth, which, in turn, led to rising levels of consumer spending on travel and tourism. As a result, there is a rising demand for commercial aircraft, and with that demand comes new and challenging production levels. In addition, airlines are becoming more technologically advanced. 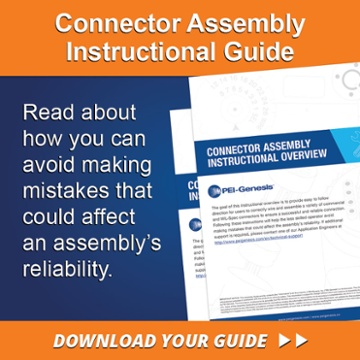 This leads to a variety of challenges—and one of those challenges involves electronic connectors. A modern commercial aircraft needs connectors that remain extremely reliable, even in some of the most rigorous environments. 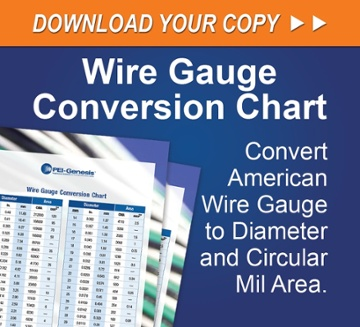 These connectors must perform flawlessly when subject to high vibration, widely varying operating temperatures, and shock. They must be resistant to a vast array of damaging contaminants. These same connectors are used with flight critical systems, where failures are not an option. So how do you know which is the right connector for your aircraft application? There are many areas in a commercial aircraft where connectors are used, and each one has its own set of requirements and its own set of challenges. For example, consider those required for fuel management. These connectors have to be airtight and able to reliably perform in a harsh environment. Hermetically sealed 38999 Connectors are usually specified, and Amphenol JT Series Connectors (MIL-DTL-38999 Series II) remain a popular choice for use in commercial aircraft fuel management. The landing gear system on a commercial aircraft is another example of a critical system that needs specialized connectors. Examples of common solutions for this system include the MIL-DTL-26482 Series II Deutsch connectors. These connectors were designed for a rugged, harsh operating environment and are often customized to meet customer needs. On the plus side, the use of MIL standard connectors like these means that they can mate with any manufacturer, which provides flexibility and a wide array of choices. An excellent option for airframe connectors would be Boeing-spec BACC series connectors. 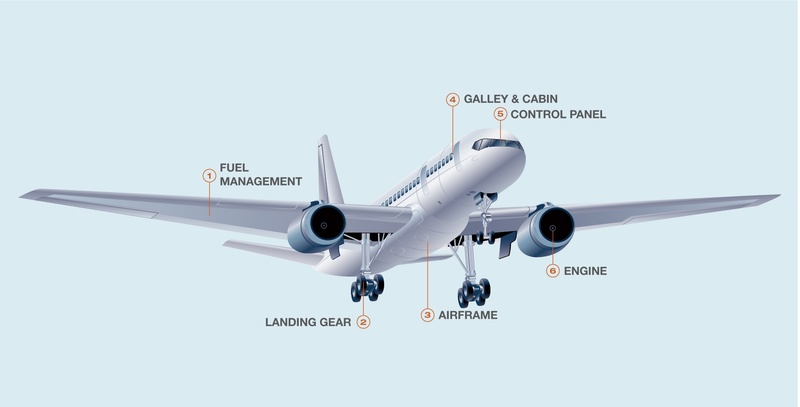 These are qualified by Boeing specifications to satisfy general-purpose requirements and unique product challenges for shielding, environmental sealing, fluid resistance, and vibration. These can be built to customer specifications and are available in a variety of different shell materials and finishes. For achieving reliable electrical connections in the galley and cabin, there are products like the Luminus SJS. They use AS39029 MIL Spec contacts which means very broad applicability. In addition, they are a light-weight, cost-effective, scoop-proof connector that works for in-flight entertainment, avionics, and more. For control panels, there are challenges involving not just the electronic aspects of the design but the physical space available. There is a demand for high-speed Quadrax contacts and connectors, which are compatible with the MIL-DTL-38999 connector line. Another common solution is the Rack n-Panel connector series, which is designed to meet strict ARINC 600 connector standards for use in cockpit displays, avionics bays, and radar systems. Aircraft engines and boosters are harsh environments where there is no room for failure. High-performance EN2997 connectors, enhanced over standard MIL-DTL-83723 mil-spec connectors, are often the solution of choice for these applications. They provide anti-rotation, reduced elastomer barriers for use with newer and older generation wires, and shell-to-shell metal bottoming. The rapid growth of the commercial aircraft market means there are much higher demands for mission-critical parts, which creates serious challenges. Take, for example, the case of AOG (Aircraft On Ground), where an aircraft is experiencing a serious problem that prevents it from flying. This typically involves a rush to get parts for the aircraft, both to put it back in service as soon as possible, as well as prevent further delays and cancellations. These time-sensitive situations are so critical that it is not uncommon for OEMs to pay same-day shipping. This problem is common with OEMs that are building next generation aircraft. They need connectors fast, but they often can’t afford the risk of keeping large stocks of connectors in their own inventory. Rapid delivery of quality connectors shifts from being an added bonus they look for in suppliers to a critical requirement. Therefore, having a reliable and trustworthy partner is pertinent, so in times of chaos and urgency, you know who to call for assistance. Another very common issue regularly encountered in the world of commercial aircraft is when COTS (catalog-off-the-shelf) products do not fit an OEM’s design or their application requirements. As a result, commercial aircraft companies need suppliers that can not only provide COTS products but custom products—with a fast turnaround. That means the supplier needs to have the expertise of aviation connector needs along with the ability to build custom connectors. At PEI-Genesis, we offer multiple options for next generation aircraft OEMs, whether catalog-off-the-shelf options or custom connectors are needed. Our supply chain structure means that we can offer inventory solutions for you once the custom design is finished. Our rapid delivery means that you will have the parts in hand within 48 hours of your order. PEI-Genesis does not just offer you a one-time product solution, but a total solution for all your electronic connector needs.